Don't let unbelievers get you down. You know the truth and can express it with this beautiful I Believe in Unicorns 20 oz. 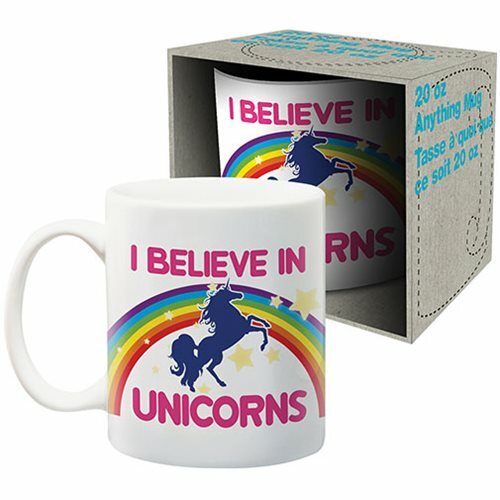 Mug featuring the legendary creature, a rainbow, and the words "I Believe in Unicorns." Dishwasher and microwave safe, the mug comes packaged in a display box.